Proprietary Name: Aveeno Anti-itch Concentrated What is the Proprietary Name? Non-Proprietary Name: Zinc Oxide, Ferric Oxide Red, And Pramoxine Hydrochloride What is the Non-Proprietary Name? Aveeno Anti-itch Concentrated with NDC 69968-0475 is a a human over the counter drug product labeled by Johnson & Johnson Consumer Inc.. 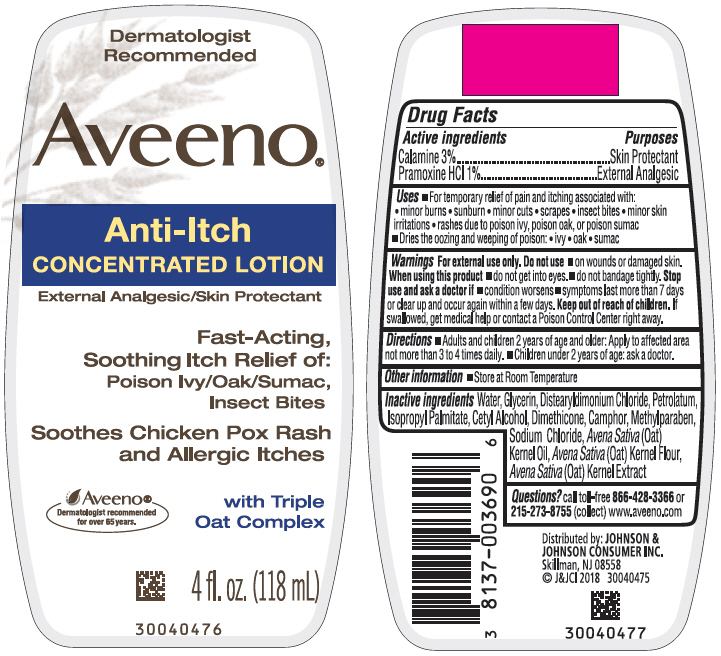 The generic name of Aveeno Anti-itch Concentrated is zinc oxide, ferric oxide red, and pramoxine hydrochloride. The product's dosage form is lotion and is administered via topical form. Adults and children 2 years of age and older: Apply to affected area not more than 3 to 4 times daily. Children under 2 years of age: ask a doctor.